Want to know what Captain America means to the Marvel Universe? Check out the October sales figures from Diamond Comic Distributors! Without an issue of Ed Brubakers Captain America: Reborn to hold the front-lines, DC locked the 'House of Ideas' out of the top 6, thanks to epic crossover Blackest Night, and Grant Morrisons Batman and Robin. This 'Blackout' saw DC close the sales gap to it's narrowest point in some time. While Marvel still emerged number one overall with 40.12% market share and 36.50% dollar share, DC is now just a fraction behind on 37.69% market share and 33.82% in terms of dollar share. 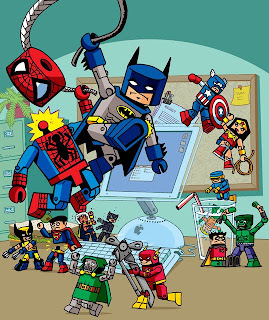 With Blackest Nights second wave of support minis kicking off in December, along with Marvel's long awaited Seige crossover, 2009 could literally be the year that goes out with a bang! Nice, that's the kind of news I want to hear! DC has a really good line up right now, and they have some great writers working. Guess it pays off! This is the kind of news I like to hear! WOO HOO DC!! Thanks for the comments guys! Yip DC sure has some serious steampower behind them at the moment - and that's without them teasing what lies ahead post-Blackest Night. With DC turning 75 next year it should be a great 2010!